Most of us know Anthea Gardner as the head of Cartesian Capital and host of The Money Shot (#invest) on Cliff Central. She also, by the way, drives the #invest bundles on EasyEquities. 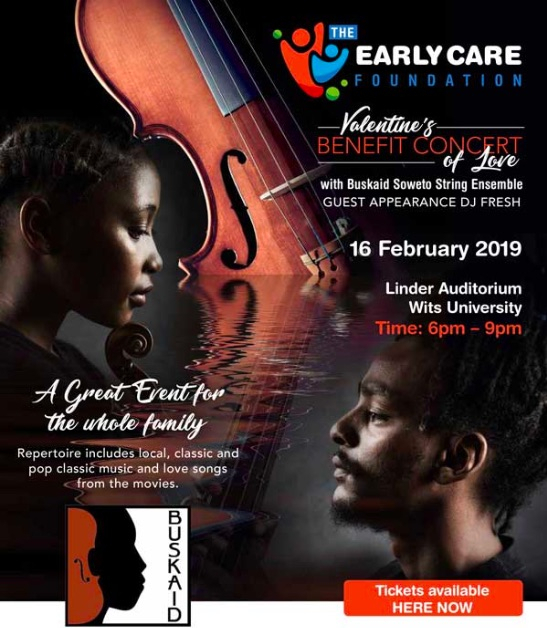 In addition to all of this, Anthea is a a trustee and sponsor of the Early Care Foundation, which is putting on a benefit concert with the Buskaid Soweto String Ensemble on 16 February 2019 at the Linder Auditorium. “The Early Care Foundation is excited to be celebrating exceptional home-grown talent,” says Anthea. 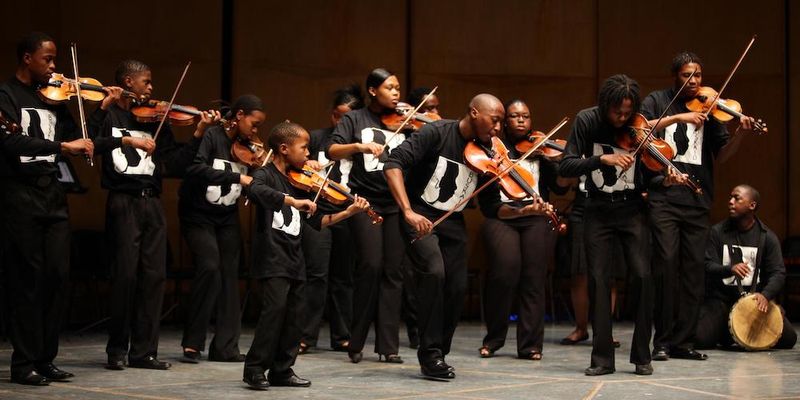 “We’re hosting a, not to be missed, evening with internationally acclaimed Buskaid, Soweto String Ensemble. The proceeds of this event will be used to support the Early Care Foundation’s teacher development work in informal crèches in disadvantaged communities of South Africa. Website and ticket sales: www.earlycarefoundation.org or www.howler.co.za or click on the image above. The Early Care Foundation, a not-for-profit organisation established in 1990, is a provider of Early Childhood Development support programmes for home-based crèches in disadvantaged communities. The Early Care Foundation develops and facilitates early childhood development training programmes for under-skilled practitioners and owners of home-based crèches. The Early Care Foundation training equips beneficiaries with the necessary skills to provide a stimulating educational environment and meet the nutritional needs of the children in their care. The Early Care Foundation assists crèches to develop their facilities in order to comply with standards prescribed by the Department of Social Development to help them register their ECD centres and access social development subsidies. A short blog about what I got up to in New York City. Through the family of Norman Salt, and in his memory, two people will watch Andrea Bocelli live. An opportunity they would not normally have. Tonight is the night of Love Justice’s first auction. The invite is open to everyone – get your tickets now and help us fight against human trafficking. SSOSA seeks to demystify Shakespeare and his works and make them more accessible to a broader South African audience.